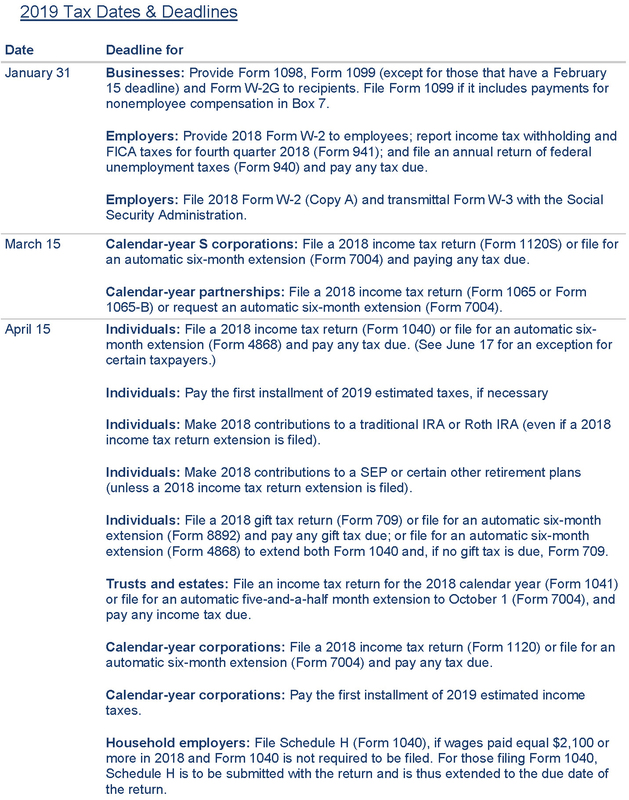 As we enter another tax season, it’s important that you are aware of important dates and deadlines. 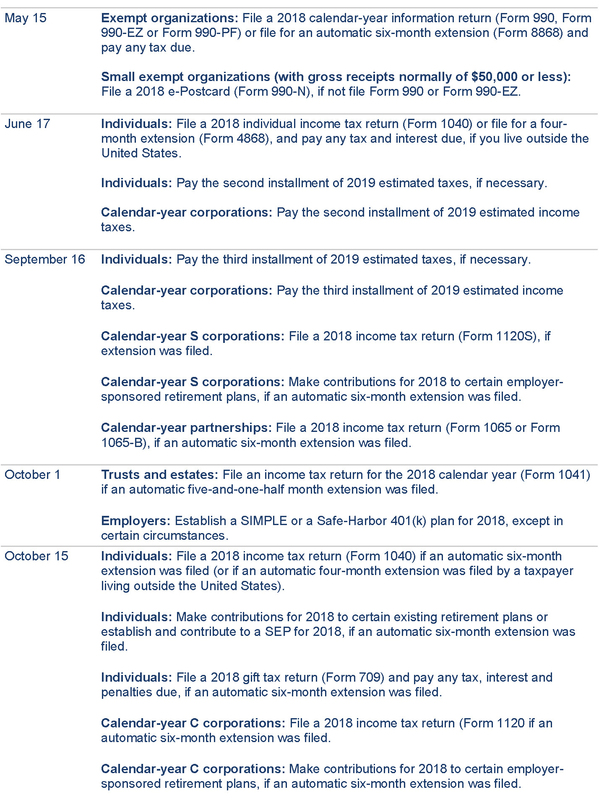 DGC’s 2019 Tax Calendar is a convenient resource that helps our clients stay informed. The calendar is divided into two sections. The first lists dates and deadlines which affect most of our clients. 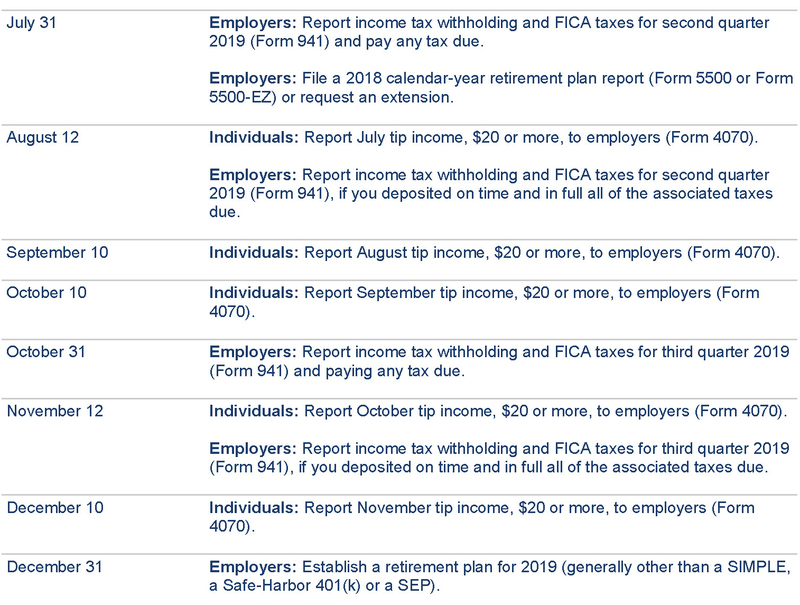 The second includes additional dates that may impact you or your business. Please review the calendar and let us know if you have any questions about the deadlines or if you would like assistance in meeting them. 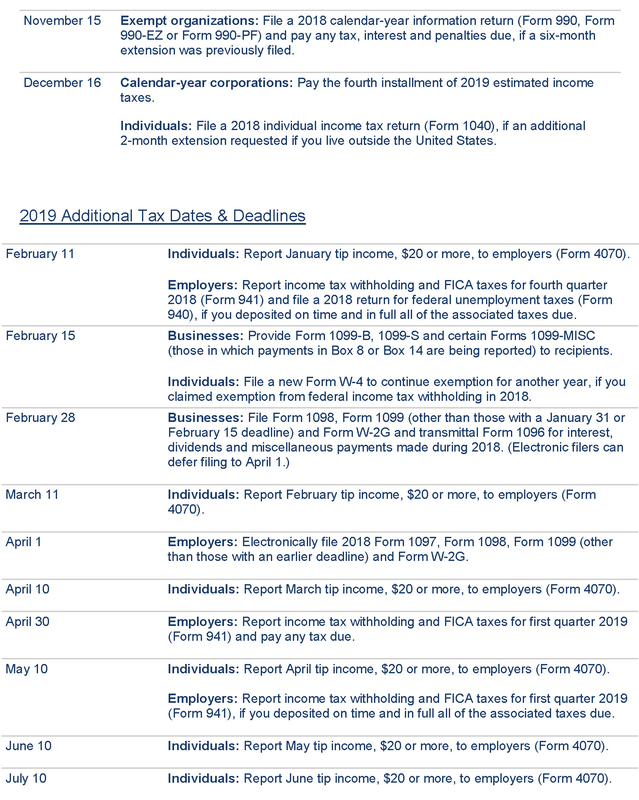 If you have questions regarding tax dates and deadlines, please contact a member of your DGC Client Service Team or Erica Nadeau, CPA, MST at 781-937-5311 / enadeau@dgccpa.com.